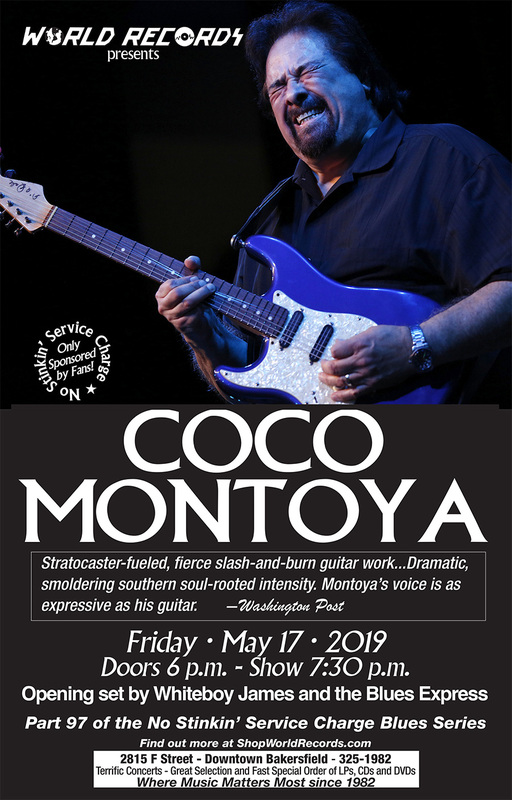 Coco Montoya brings — forceful, melodic guitar playing and passionate vocals with memorable songs, delivering the blues’ hardest truths — to World Records May 17th. Returning to Alligator with his new album, Hard Truth, Montoya delivers one career-topping performance after another, the music immediately ranking among the best he’s ever recorded. Produced by drummer Tony Braunagel (Eric Burdon, Curtis Salgado, Taj Mahal, Bonnie Raitt), the album features eleven songs, each delivering a hard truth of its own. From the radio-friendly, gospel-inspired celebration of love, I Want To Shout About It, to the haunting Devil Don’t Sleep to the icy-hot cover of Albert Collins’ The Moon Is Full, Hard Truth covers a lot of emotional ground. Montoya’s unpredictable guitar playing and smoking soul vocals blend effortlessly with a backing band featuring renowned musicians including bassist Bob Glaub (Bob Dylan, Bruce Springsteen, Jerry Lee Lewis), keyboardist Mike Finnigan (Jimi Hendrix, Etta James, Taj Mahal), guitarists Billy Watts (Eric Burdon) and Johnny Lee Schell (Bonnie Raitt), and Braunagel on drums. Slide guitar master Lee Roy Parnell guests on Lost In The Bottle. 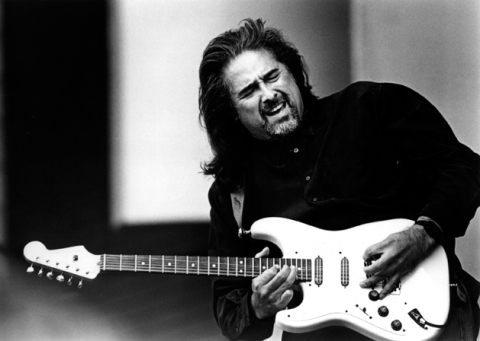 Henry “Coco” Montoya was born in Santa Monica, California, on October 2, 1951, and raised in a working class family. Growing up, Coco immersed himself in his parents’ record collection. He listened to big band jazz, salsa, doo-wop and rock ‘n’ roll. His first love was drums; he acquired a kit at age 11. He got a guitar two years later. “I’m sure the Beatles had something to do with this,” Montoya recalls. “I wanted to make notes as well as beats.” But guitar was his secondary instrument. Montoya turned his love of drumming into his profession, playing in a number of area rock bands while still in his teens and eventually becoming an in-demand drummer. Blues fans, radio programmers and critics sent praise from all corners. 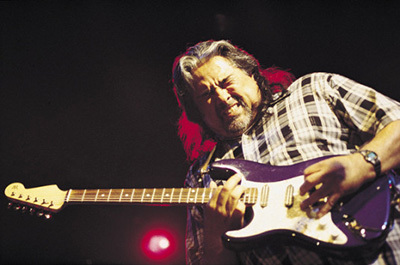 The album immediately made it clear that Montoya was a guitarist and vocalist who ranked among the best players on the contemporary blues scene. In 1996, he was nominated for four Blues Music Awards and walked away with the award for Best New Blues Artist. Two more Blind Pig albums followed, and Coco was well on his way to the top of the blues-rock world.